I discovered this gorgeous church when location hunting for an upcoming Monterey Wedding. Of course, I was stunned by it's beauty. 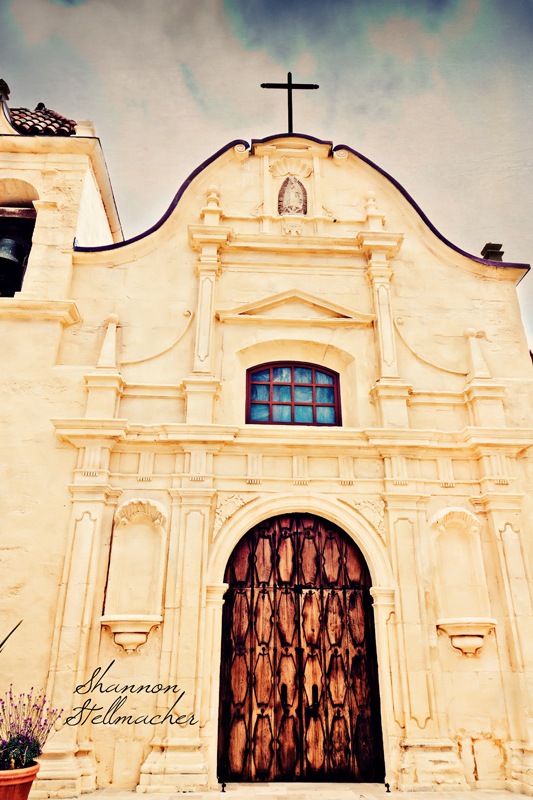 I have since learned that The San Carlos Cathedral is the oldest continuously functioning church and the first stone building in the State of California!! It was founded in 1770 as the cornerstone of a Mission. The Mission was later moved to Carmel, but the church remained as a Royal Chapel for the soldiers guarding the Spanish Presidio of Monterey. The present sandstone church was completed in 1794, and it was California's first Cathedral.